This article originally appeared in the Crane & Rigging Hotline August 2012 Issue and was reprinted with permission from Maximum Capacity Media. Read the digital issue here. By Ron Kohner, president of Landmark Engineering Services Limited. Ron Kohner is president of Landmark Engineering Services, Ltd., Roseville, Minn. He has been involved with crane design and application since 1970. In addition, he is a commissioner for the National Commission for the Certification of Crane Operators and a member of the ASME B30 main committee and B30.5 subcommittee. Reach him at landmarkengr@earthlink.net. Have you ever challenged the safety of a lift because the crane’s outrigger pad was breaking free of its supporting surface? In construction slang, it appeared that the crane was “getting light,” or ready to tip. Maybe. Maybe not. Unfortunately, it is difficult to avoid some measure of confusion when an outrigger begins to lift off the supporting surface while the crane remains within its operational load ratings. It is not uncommon for this to happen when lifting over the side or corner of a carrier. This action alarms most observers who have been schooled to be alert for signs of tipping during lifting operations. However, outrigger lift-off is not always a sign that the crane is about to tip. The first indication of outrigger “lift-off” is a gap on an “off-side” outrigger between the top of the outrigger beam and the carrier frame from which it protrudes. As the hook load or radius is increased and the crane works closer to its chart limits, that outrigger beam and float may begin lifting a few inches off the supporting surface. Zero-tolerance policies at some work sites may result in the crane and operator being ordered off the job for violation of safety rules. Confusion becomes the order of the day if investigation confirms that, in fact, the crane was working safely within its load rating limits. How can an outrigger lift off the ground if the crane isn’t being overloaded to the point of tipping? The explanation lies in understanding the behavioral characteristics of truck and rough-terrain crane carriers as they relate to advancements in metallurgy and crane design. 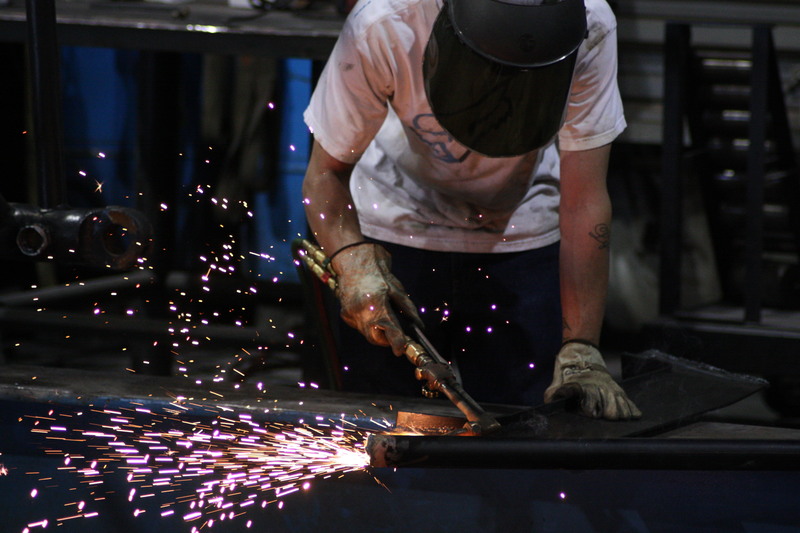 Historically, manufacturers achieved the necessary strength in crane carrier and outrigger designs by fabricating with steel plates and structural shapes that were generously sized. This resulted in strong and rigid, but heavy, crane carriers. As more precise engineering analysis and higher strength steels came into use, designs were fine-tuned to achieve the necessary strength with much less material. The result is a loss of rigidity in exchange for lighter weight. The design quirk first started becoming an issue as early as the 1980s when the use of T-1 steel became more prevalent. While it is possible to design out some of the flex in a crane carrier, the degree of flexure varies from manufacturer to manufacturer and model to model. Although design and material advancements enabled crane manufacturers to respond to market demand for lighter, more roadable, cranes without sacrificing strength and capacity, the result is a phenomenon that can create concern on the job site. When considering the issue of rigidity and flexibility in a crane carrier, think of climbing and working from an old wooden ladder compared to a newer aluminum one. While the aluminum ladder has ample strength, it flexes far more under load than its older wooden predecessor. This characteristic can be unnerving when you are 20 feet above the ground. It can be equally unnerving when the flexure is in a crane’s carrier and causes an outrigger to lift free of the ground. When lifting a load over the side or corner of the carrier, a lighter frame can flex or twist to a more noticeable degree. Workers may perceive this as load drift when they are swinging and lifting the load—or to the extreme, they may observe an off-side outrigger lifting free of the ground. I know of no reliable, simple scheme by which a user can predict the carrier flex characteristic. Obviously, the higher the percentage of rated capacity at which the crane is working, the more prone it is to experience the action. For example, it is more likely to occur at 90 percent of chart capacity than at 50 percent, since a larger moment is being applied to the carrier. This is true for both stability-limited capacities and capacities limited by other factors (but not all). Many crane users express ongoing frustration with carrier flex and outrigger lift-off characteristics, since they are commonly perceived as tipping when no instability hazard actually exists. Manufacturers don’t consistently address this issue in manuals or on charts. However, several crane owners responding to a comment thread on LinkedIn indicated that, when queried, some manufacturers acknowledge that carrier flex is acceptable. Meanwhile, the ASME B30.5 subcommittee is currently struggling with how to address this issue in the standard. Question: During the operation or conduction of a load test for a crane that falls under the description of ANSI/ASME B30.5 – 1982, what is the point of instability? 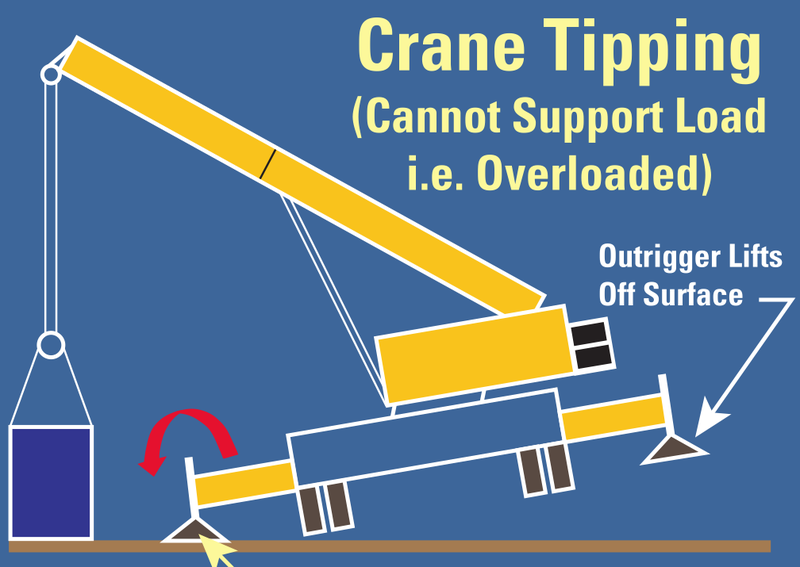 If an outrigger lifts off the crane’s supporting surface, the crane may indeed be overloaded and on the verge of tipping. It is, of course, critical to confirm (before beginning any lift) that the lifting configuration at the time does not exceed published load ratings. Alternatively, pre-existing damage, such as structural cracking in the carrier/outriggers, may also cause excessive flexibility. Finally, the crane may simply be performing as designed. If the absence of an overload is confirmed, the guidance of the crane manufacturer should certainly be sought regarding concerns over outrigger lift- off issues. To address misunderstandings in the field, I suggest lift directors or site supervisors reference Interpretation No. 5-4 from ASME B30.5. It documents the industry’s position that an outrigger may lift free of its supporting surface without compromising crane stability and, hence, safety. Careful crane operation within the manufacturer’s specifications is paramount but may still result in the outrigger lift-off phenomenon. Understanding possible causes for the behavior allows the user to immediately address worksite concerns. The only absolute solution may be to, once again, produce heavier, stiffer crane carriers. But I doubt that’s a direction the industry really wants to go in with crane design. This article originally appeared in the Crane & Rigging Hotline August 2012 Issue. Read the digital issue here. By Ron Kohner, president of Landmark Engineering Services Limited. 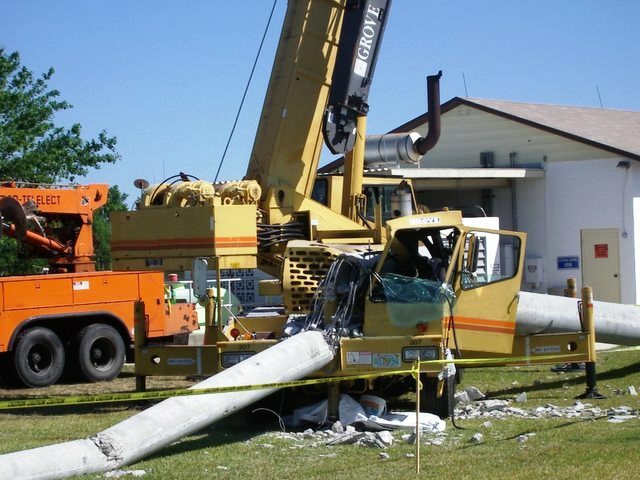 PreviousInsuring Cranes – Crane Accidents and Some Hard Truths! Parts Manager, given access to website by unknown person. A few changes and now taking a class on WordPress, in my spare time. It's slow going when your used to looking at part manuals, not websites. 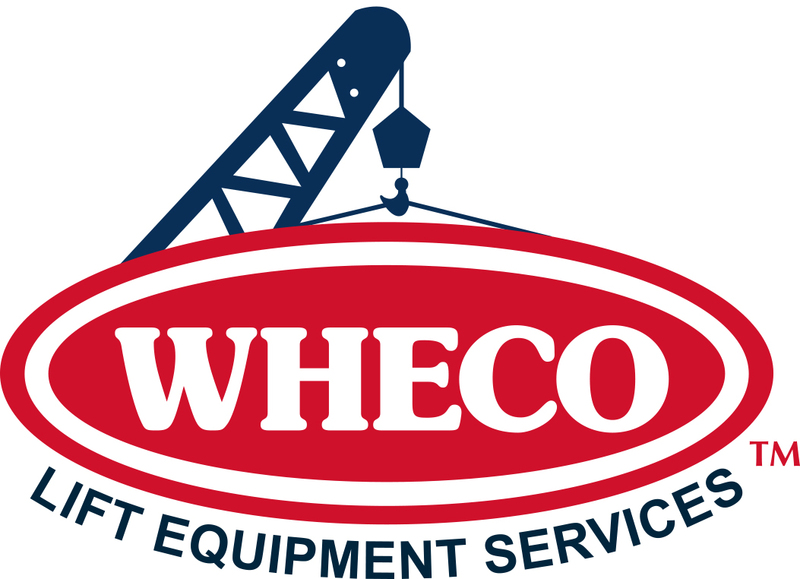 Insurance Companies in the Know Use WHECO!